How do I apply for Weatherization? 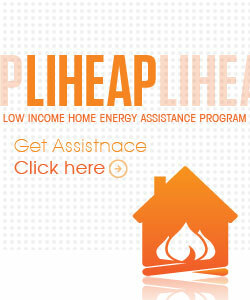 When you apply for energy assistance (LIHEAP) at Operation Threshold you are also applying for weatherization. You can apply for weatherization without applying for energy assistance if you prefer, but you must specify with the intake worker that you wish to apply ONLY for weatherization if this is your preference. 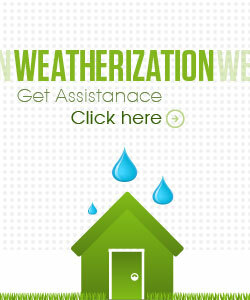 If you are approved for energy assistance, you are also eligible to be considered for weatherization. This does not mean your home will be weatherized. Who decides where I am on the Weatherization list? After your application is approved under the income guidelines, we will request from your gas or oil company the heating fuel usage on your home. This usage information is entered into the computer and a priority number is assigned based on usage. Other factors that determine the priority number are household members who are disabled, over the age of 60, under the age of 3, and the type of fuel used. How long is the Weatherization waiting list? The Weatherization list undergoes revisions throughout the energy assistance season. A household’s position on the waiting list is always relative to other household approved for energy assistance. The list is updated annually with new usage information, at which time a new priority number is assigned. There is NOT upward movement on the Weatherization list based on the number of years the household has been on the list. An address will not show on a Weatherization list until 6 months to 1 year after approval for energy assistance. I’m elderly and disabled. Do I get to go to the top of the Weatherization list? There is a consideration given to households with elderly (60+) or disabled residents. The priority numbers assigned are increased by 5% for elderly residents, and 5% for disabled. Are there reasons my home may NOT be weatherized? If you rent, your landlord may not allow Operation Threshold to do the work. If the home you live in has previously been weatherized by Operation Threshold, or if your home is for sale, or if the roof on your home is in need of repair, or if you have moved between the time you applied and the time we schedule work on your home, Operation Threshold may not weatherize your home. I was approved for Weatherization, but I moved. Can my new house be weatherized? There is a possibility that your new home may qualify. 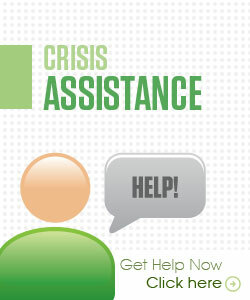 You MUST notify Operation Threshold within 30 days of change of address. You may also need to provide heating fuel usage information for the new address by contacting the company that supplies your fuel. A new priority number will be assigned based on that. Heating fuel usage is the amount of fuel used, not the dollar amount. If it is high enough, and the home has never been weatherized before, you may qualify for weatherization at the new address. What kind of work will you do on my home? Will windows or doors be replaced? The Weatherization program mostly does insulation work, caulking, and weather-stripping to reduce air leakage. An evaluator will come to your home and take measurements and check for existing insulation. The evaluator will enter the information gathered into a computer program designed for weatherization activities. This program will show what work can be done to make the home more energy efficient. The program will very rarely call for replacement of windows or doors.